Rochester Institute of Technology is hosting its second annual data hackathon for undergraduate students in the Rochester area. 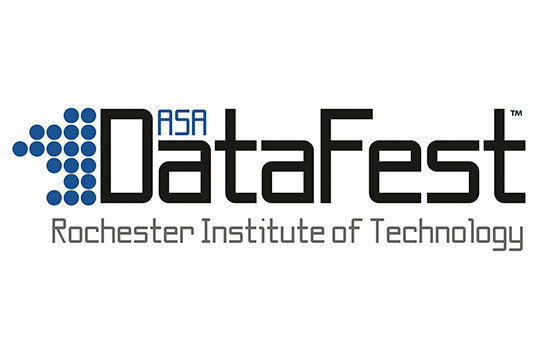 DataFest, a national event sponsored by the American Statistical Association, will take place at RIT from April 13 to 15 in Hugh L. Carey Hall, room 2575. Student teams will have 48 hours to mine a complex data set pertaining to a real-world problem. Teams will test their statistical analytic and data science skills to find the best solution. Judges will award prizes for Best in Show, Best Visualization and Best Use of External Data. A related event, the Pre-college Rochester Data Science Challenge, is an online competition open to high school students. Competitors download and analyze data and submit results for grading. For more information, go to https://www.rit.edu/science/datafest or contact Ernest Fokoué at epfega@rit.edu. For arrival times, go to RIT DataFest 2018 schedule.